Author(s) Arceneaux, Kevin; Vander Wielen, Ryan J. The success of democratic governance hinges on an electorate's ability to reward elected officials who act faithfully and punish those who do not. Yet there is considerable variation among voters in their ability to objectively evaluate representatives' performance. 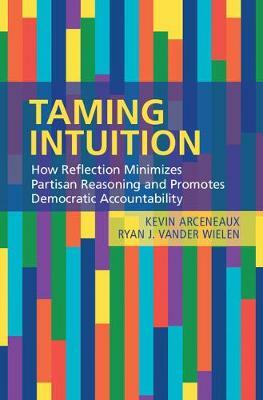 In this book the authors develop a theoretical model, the Intuitionist Model of Political Reasoning, which posits that this variation across voters is the result of individual differences in the predisposition to reflect on and to override partisan impulses. Individuals differ in partisan intuitions resulting from the strength of their attachments to parties, as well as the degree to which they are willing to engage in the cognitively taxing process of evaluating those intuitions. The balance of these forces - the strength of intuitions and the willingness to second guess one's self - determines the extent to which individuals update their assessments of political parties and elected officials in a rational manner.